Have a favorite band to wake up to? 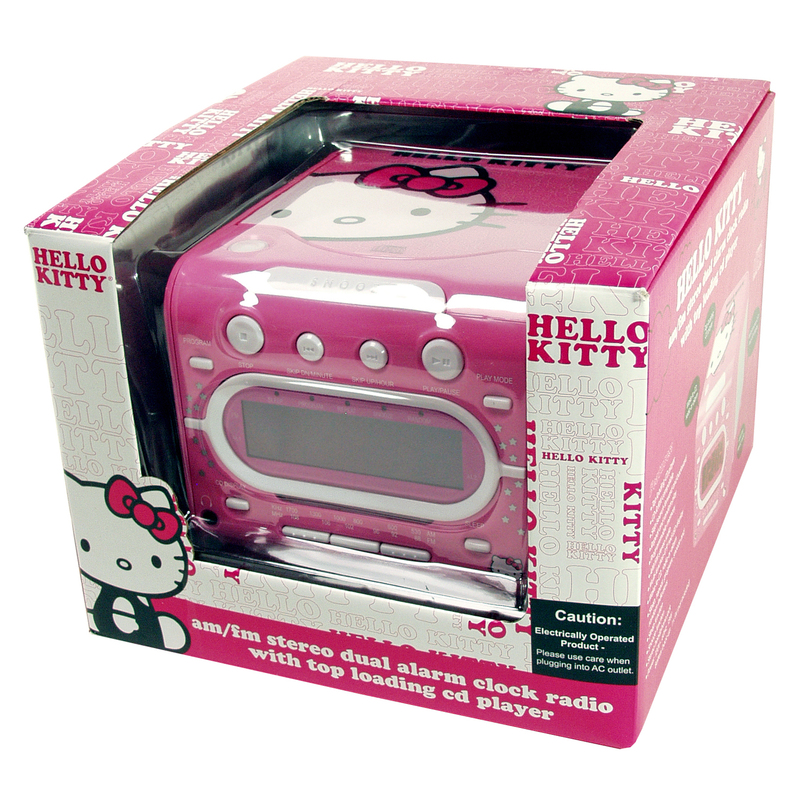 Just have the CD loaded and the alarm set on this Hello Kitty clock radio with top-loading CD player. It’s that simple. 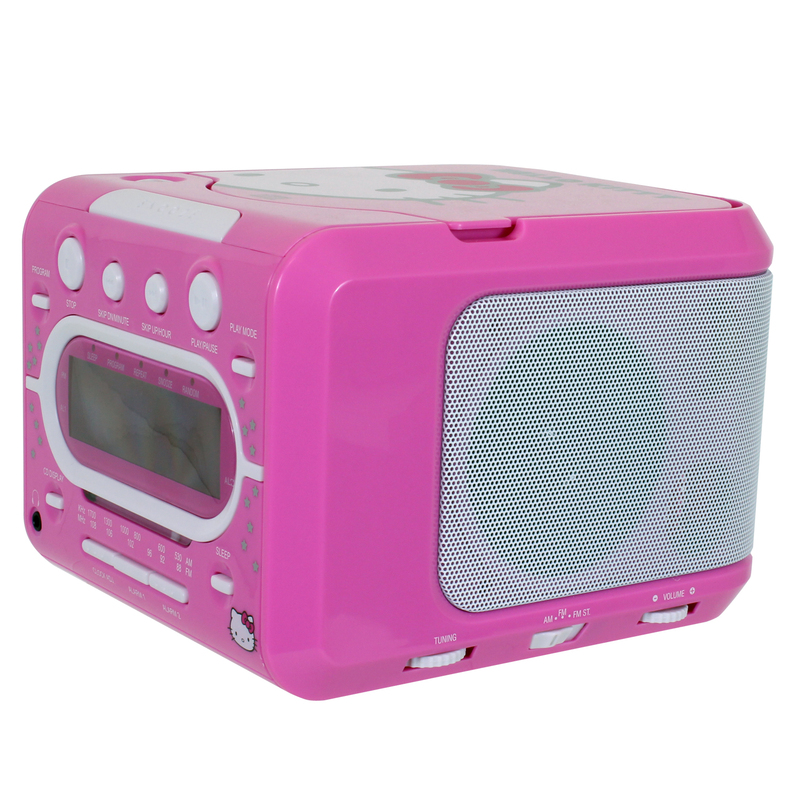 You also have the options of your favorite radio station or the alarm with a snooze function at the ready when you need those extra minutes to get going. Utilize the battery back-up feature (9v not included), and the alarm will even sound in the case of a power interruption. 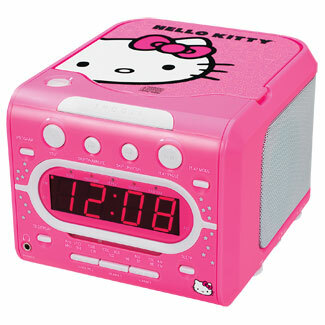 A sleep mode means you can close your eyes at bedtime without the worry of turning off the radio, or CD, at night. 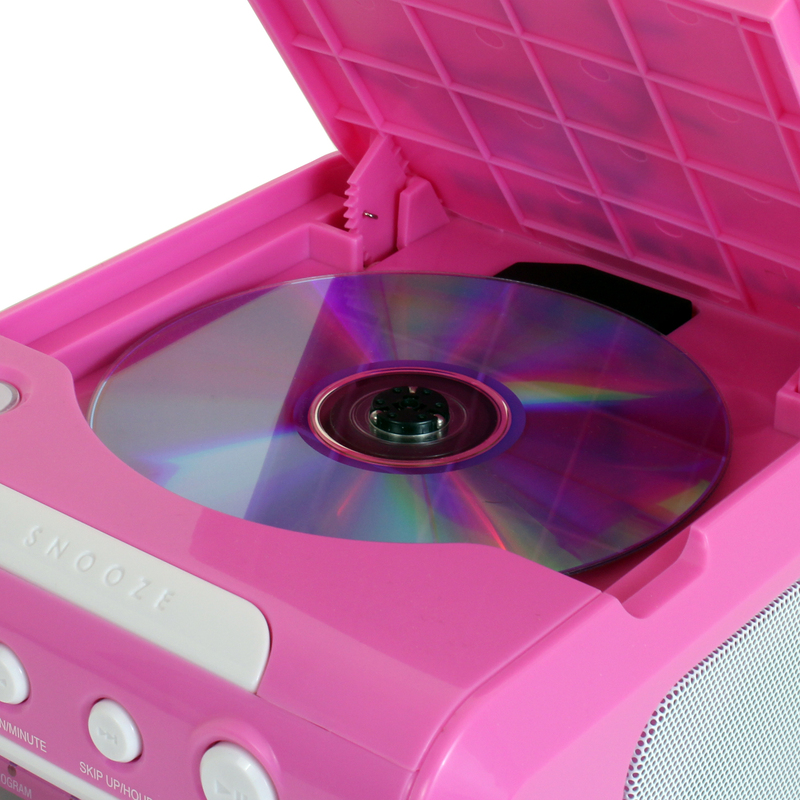 The player is programmable and CD-R/RW compatible, allowing to listen to tracks from most pre-recorded and self-recorded discs in the order you prefer.